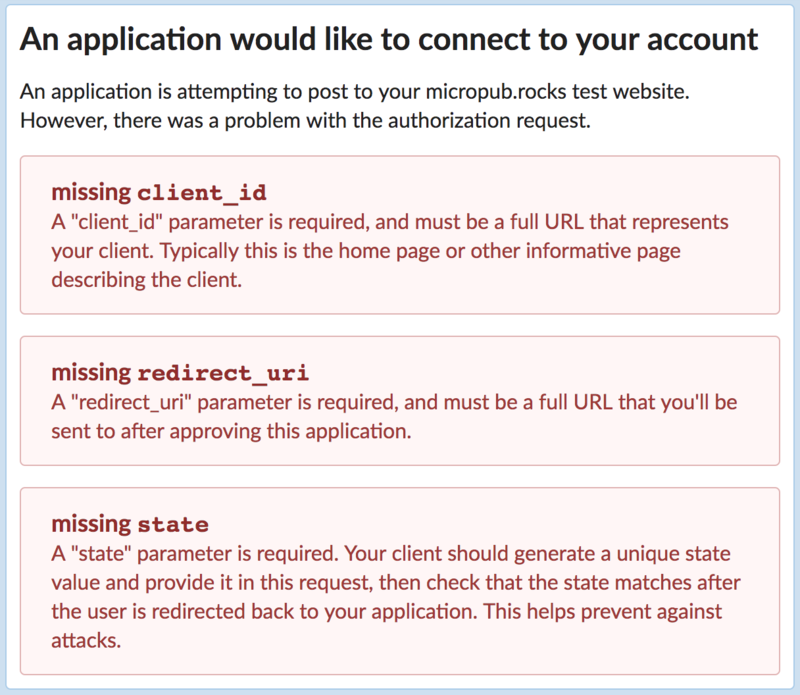 Continuing the work on the micropub.rocks client tests, today I worked on the OAuth server so that you can sign in to Micropub clients to post to the test account. Aside from providing the actual sign-in functionality, I also want this to provide helpful error messages and walk you through setting the parameters to build the authorization request. Here's an example of starting the authorization request without a few of the required parameters. Each parameter of the authorization request is checked and validated, and a detailed error message is displayed if there is something wrong. Once all of the parameters are validated, then the "allow" button is displayed. 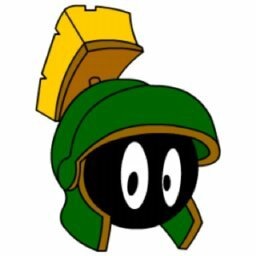 Next up is generating and returning the access token to the client!